Kuttu ka dahi vada- kuttu atta is also known as Buckwheat flour or grass seed flour and is a popular fasting or diet food .This is consumed mainly in Northern India during Navratri and on any Hindu fasting day. During fasting cereals are prohibited so Kuttu,Rajgiri ,singhora flour are used. Kuttu is gluten free so potato or colacosia(arbi) is used with the flour to make poori or paratha. This is extremely high in protein and fiber and good for heart patients. try this kuttu ka dahi vada when you are fasting or on any day. You can also make different recipes with Kuttu flour. Take 1/2 cup kuttu atta in a bowl, add 1/2 cup water and whisk very well . Add cumin seeds, chopped ginger and raisins and mix well. 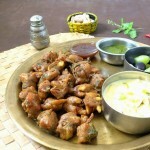 Heat oil in a pan ,make small size pakoda’s (dumplings) on medium heat till golden in colour. Drain and keep aside for 5 minute. Take 2 glass water in a bowl and add 1/2 t.s salt in it and then add pakora’s in it . Let them soak for 1 to 2 hour . Churn the curd well with 2 tbs of water and salt. Squeeze the vada’s gently and arrange them in a serving plate. Drizzle enough salted curd over them ,then sprinkle roasted cumin powder,pepper powder and chopped coriander. So interesting: dahi vada from buckwheat! I will definitely try it on ekadasi. @Meena- kuttu is very easily available in north India ,even at small grocery or kirana stores ,where you get sabudana,rajgiri atta and singhora atta .Kuttu atta is slightly grey in colour. delicious and inviting!!! Join me in Fast food event – Noodles . wow you have transformed it into healthy vadas…looks so inviting…. Wat a healthy twist to the usual dahi vadas, simply inviting. 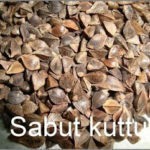 finally i know what is kuttu atta after seeing that pic.. have always wondered. i keep hearing it around me .. will try this sometime.. it looks grt. awesome and another version of the urad dal dahi vada. Filling and a healthy version of all time popular dahi vadas.. Very different again , love all ur authentic food. Well presented and looks so yum! 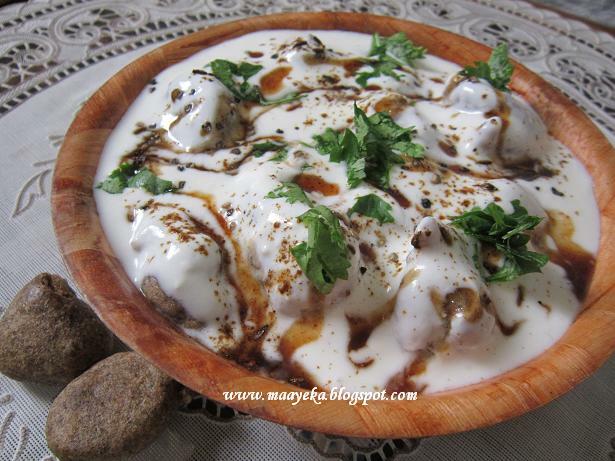 Such a healthy dahi vada, looks awesome. What is kutu atta? Nevertheless the dish looks so yummy! 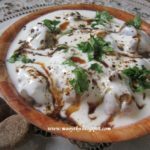 Awesome recipe Anjana…I am virtually drooling here…Such a punishment ya..
A healthy version of the dahi vada, awesome..